The Samsung Galaxy Note 3 smartphone will release in regions worldwide from September 25th and we’ve been giving information on pricing for different regions as we’ve heard it. Today Samsung has officially introduced the Galaxy Note 3 and Gear for MENA (Middle East and North Africa). 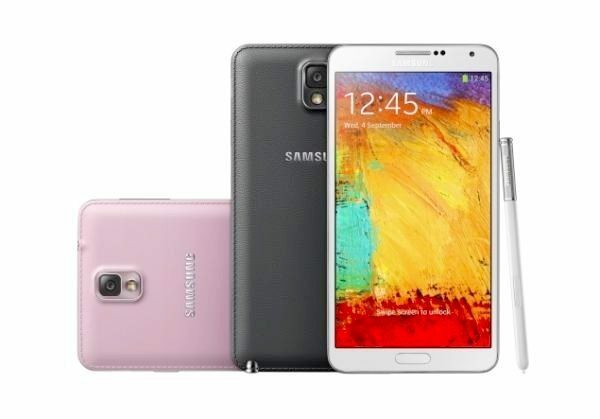 The Samsung Galaxy Note 3 has a lot to impress and is likely to be a big sales success for the giant company. The Samsung Galaxy Gear is a companion smart watch for the Note 3 and will also be compatible with some other Galaxy devices once updates are issued. You can read much more about each at the above links provided. The Galaxy Note 3 has a 5.7-inch Full HD Super AMOLED display, 13-megapixel camera with features such as Smart Stabilization and high CRI LED flash, a 3200 mAh battery, and also offers the use of a new advanced S Pen stylus. Design-wise it has a textured leather-look reverse with stitching embellishment to give it a plusher look and feel than the Note 2, and color options are Jet Black, Classic White and Blush Pink. It will be available at major retail stores across the UAE. The price for the 3G version is 2,799 AED, while the price for the 4G variety is 2,999 AED. If you want the Galaxy Gear smartwatch the price is 1,199 AED. Will you be one of first to buy the Samsung Galaxy Note 3 smartphone or Galaxy Gear smartwatch in your region when it hits the shelves? Let us know with your comments. is it available in stores or not yet? i heard it would be available in stores in UAE on 1st of October. can anyone confirm? Definitely going to check it out once it arrives in stores. I want to see how it feels in my hand for size. It has all the droolworthy features I want. It releases on the 25th but isn’t in stores until October 10th. It’s available for pre-order with Verizon, I know.